The John Lipe agency has grown almost 500 percent in just one year. 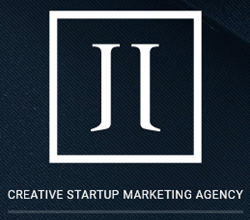 John Lipe (http://johnlipe.com), the creative startup marketing agency that is ranked in the top 1 percent globally for advertising and corporate brand identity on Elance, reports record growth. In under a year, the company has experienced a nearly 500 percent increase in revenue. The agency focuses on helping local Seattle startups grow, but has also had a positive impact in 12 countries around the world. John has gone from operating on his own to building a solid team of experienced experts. His personal experience in launching and running five companies in the last 10 years makes him and his agency the perfect resource for small businesses looking to create brand recognition and experience a high level of success. Some of the industries the John Lipe agency has helped with branding, marketing and mentoring over the last six months include app and mobile development, technology, life coaching, social networking, 3D manufacturing, entertainment, ecommerce, real estate, craft brewing, legal, retail, financial, wedding and health. John Lipe looks forward to the next phase of the agency as it expands into helping companies with their SEO development. An SEO Growth Development Guide is available for request on the company’s website. Small businesses aiming for success through top-level marketing, online ranking and brand recognition can visit johnlipe.com/digital-agency. John and his expert team are ready to provide the consulting and growth planning needed to help other entrepreneurs achieve their dreams. John Lipe has spent a decade creating startups, directing ad agencies, working with international corporations and helping businesses on their road to success. The agency’s branding and marketing solutions are unique and aimed at attracting the modern, tech-savvy generation that develops brand loyally through digital as well as personal interaction. The founder’s personal experience enables him to provide real-world perspectives to his clients. John and his team know what you are up against because they have already lived that story. Now, the John Lipe agency wants to smooth your road ahead so you can get to the success you want, faster.